If you have hips that are larger than your bust, a well-defined waist and slightly fuller hips and bottom then you’re a perfect pear shape! 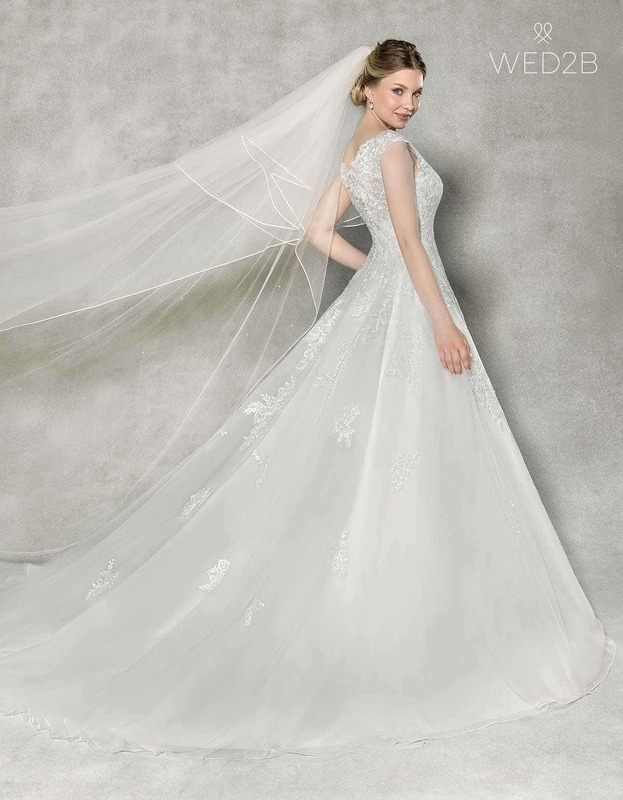 Princess-line gowns and panelled A-line dresses look stunning on pear shaped figures. Both styles flow smoothly down with no break or line at the waist, which balances out your proportions. They’ll neatly show off your waist and skim effortlessly over your hips, the widest part of the body. If you want to highlight rather than hide your fabulous curves then try a fishtail dress or a design with a dropped waist that hugs your hips. A top tip is to choose a larger dress size to fit your hips then get it altered at the top to fit snuggly around the bust. Alternatively go for a lace-up back that you can tighten exactly where you need to! Remember, for a stunning strapless style, you'll need a good supportive basque or strapless bra underneath. Try to avoid thin straps too or skirts with pleated or gathered fabric which will accentuate your hips. 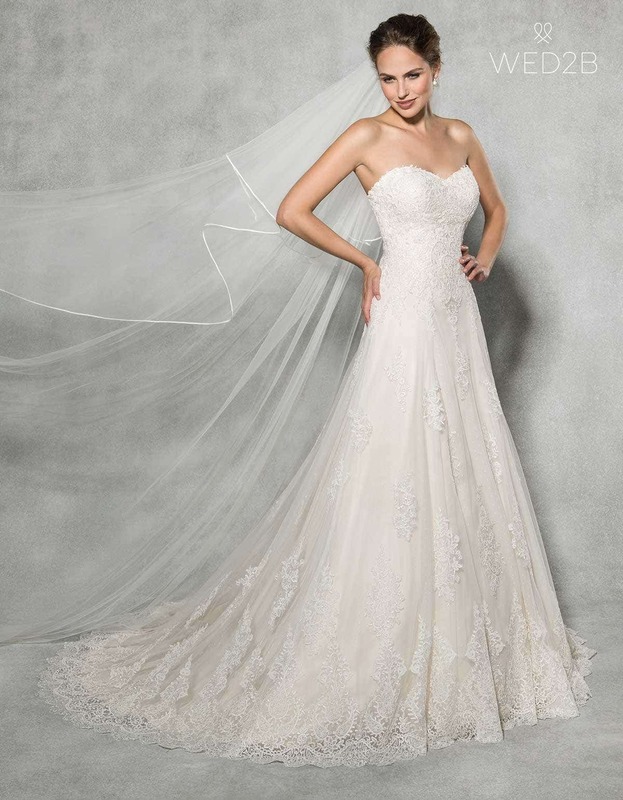 This traditional A-line wedding dress in exquisite lace is perfect for pears. 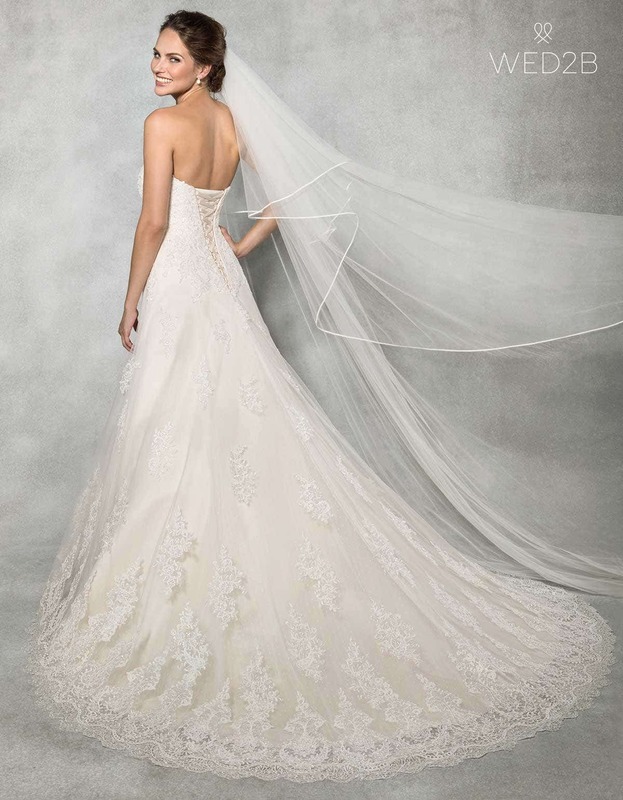 The soft sweetheart neckline gives way to a waist-defining, lace-up back and a skirt that skims softly over the hips. Effortless A-line styles, like this beautiful design, are the way to go. Embellished with delicate lace appliqué, we just love the pearl buttons down the back. 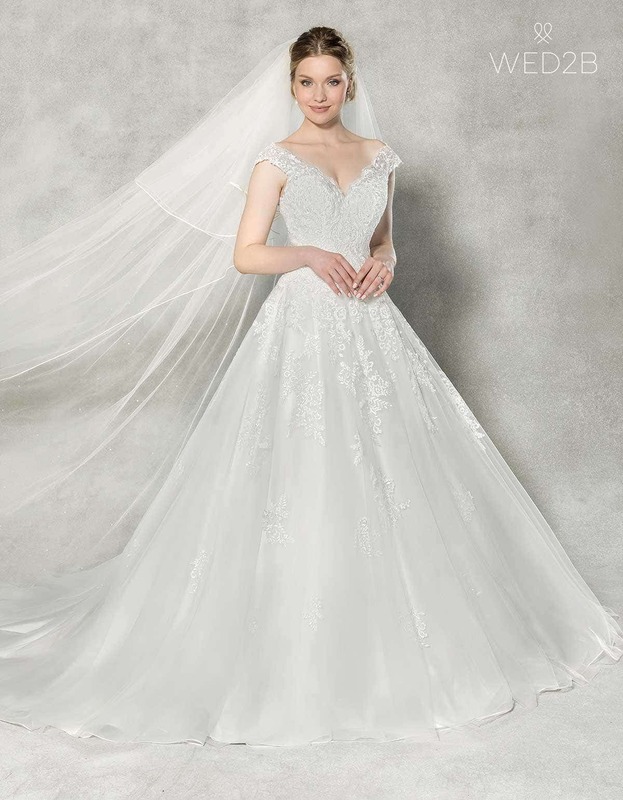 Our Anastasia dress is ideal for creating stunning proportions, with its nipped in waist and flowing skirt. The beautiful metallic lace will ensure you’re the shimmering star of the show! We know you're going to love this vintage, tea-length wedding dress. It highlights perfect pins and a beautiful back, while creating a fab waistline and skimming over hips. 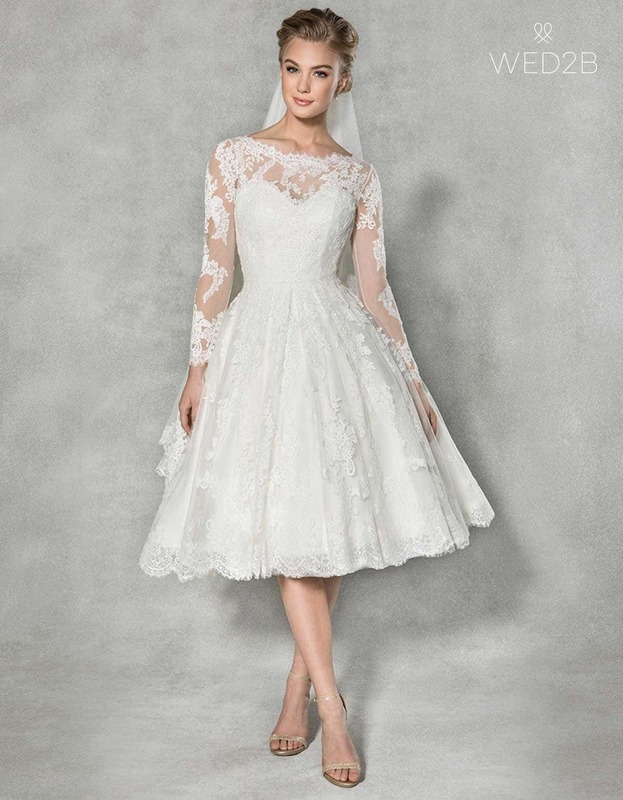 The delicate lace sleeves are just divine!